Death Nurse: Hats off to heart moms! This post from ELNEC came across my feed the other day, and caught my attention because it's an excellent example of something I strongly believe. 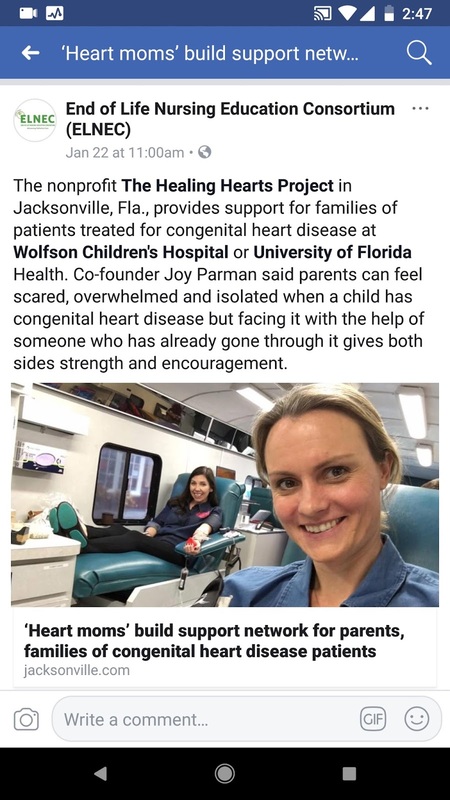 The link led to a news story in a Jacksonville, FL paper about an organization called The Healing Hearts Project. 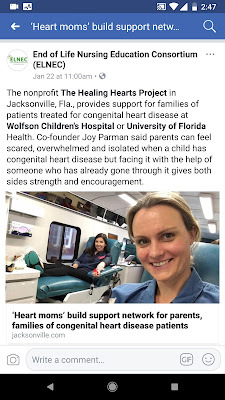 The women who founded Healing Hearts call themselves "heart moms," because they're mothers who know the challenges, terrors, hopes, and joys facing children and families born with congenital heart defects. To provide support to families and patients as they face the challenges of congenital heart disease. Provide practical support to individuals and their immediate caregiver(s) during hospitalization. Provide emotional support from diagnosis to the post-operative period. Support hospital efforts to optimize care. Facilitate opportunities for ongoing education for both caregivers and hospital staff. Three heart moms serve as President, Vice President, and Secretary. The treasurer is a heart grandfather. The leadership also includes some doctors, a lawyer, and a nurse who's also the mom of a child with special medical needs. Healing Hearts signals how meaningful change doesn't come from systems or clinicians, but from patients and families who know more and demand better.